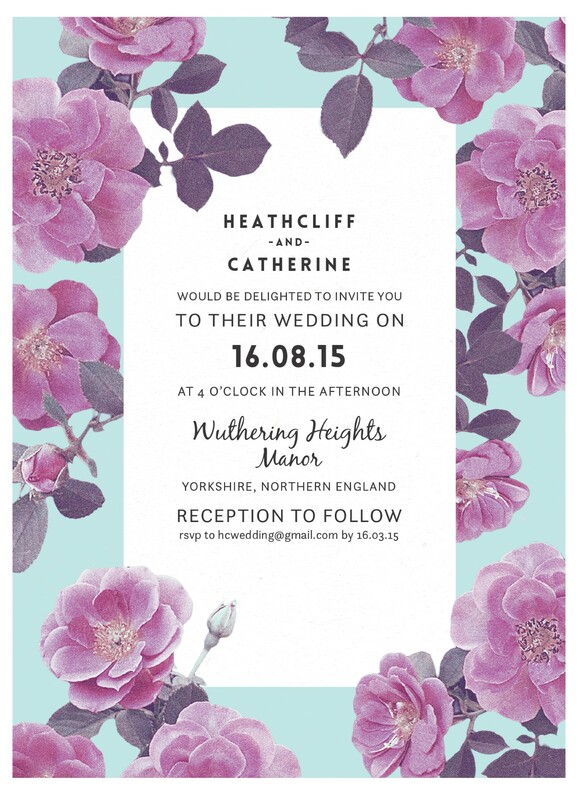 This invitation card is from designer Amy Cleary, taken from the wedding invitation set, 'Rosehip'. 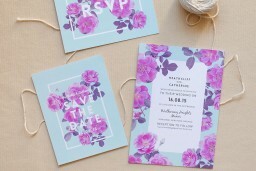 It combines baby blue, pink and white to give the invitation a dreamy look. 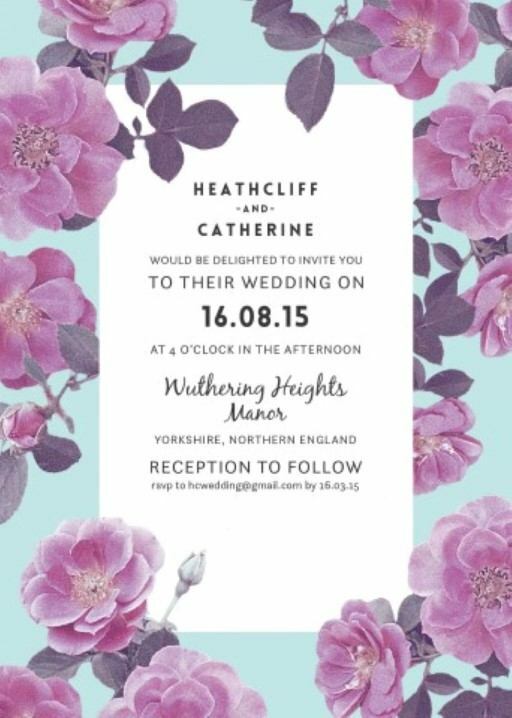 The straight lines and block text give the set a modern twist, with three different font types and elegant floral design keeping these invitations from becoming cold. This set comes in digital print only. What an absolutely gorgeous design! The flowers have a realistic, yet sort of pop-art style that is unlike any other wedding invitation I’ve seen on the invitation market, locally here in Australia or otherwise. From the colors to the flowers it’s a modern, fun take on a classical wedding invite.